When Real Gold was published in 2007 there was a physical exhibition to coincide with the book launch. In addition, there is an online version of this exhibition which gives detailed information and images of some of the items displayed. Real Gold is available to be purchased from Sir George Grey Special Collections and booksellers nationwide. Ref: Screen shot of the 'Real Gold' online exhibition home page. 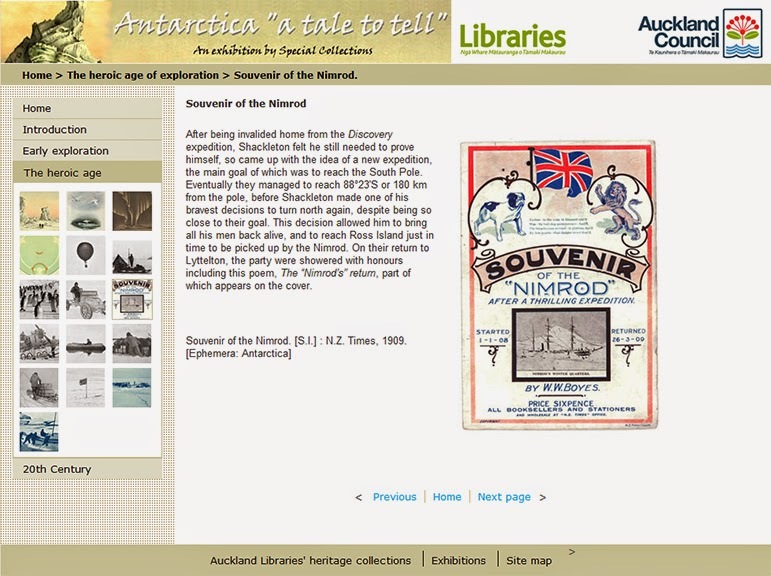 Like the book Real Gold, Auckland Libraries' online exhibitions are a splendid way of exploring heritage collections. Online exhibitions have a wide reach, do not have a closing date and are a way of revisiting or being introduced to a physical exhibition. Ref: Screen shot of the 'Antarctica: a tale to tell' online exhibition home page. 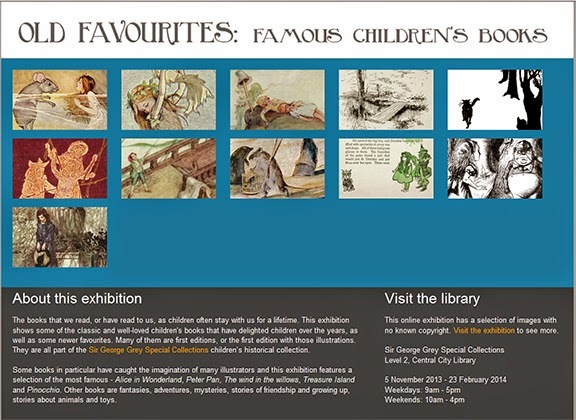 Ref: Screen shot of the 'Old Favourites: famous children's books' online exhibition home page. Technological changes can be seen in the different formats of the online exhibitions. Sometimes online exhibitions are a replica of the physical exhibition, other times only a selection of items are shown. Currently, all physical exhibitions held in Sir George Grey Special Collections have some sort of online equivalent. 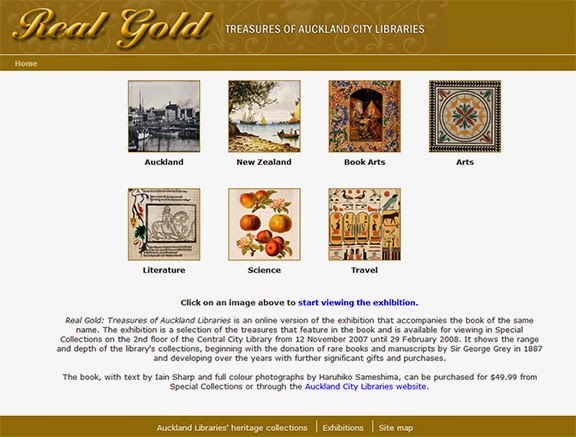 Don't be shy -- take some time to have a physical or virtual browse of some of Auckland Libraries' treasures. 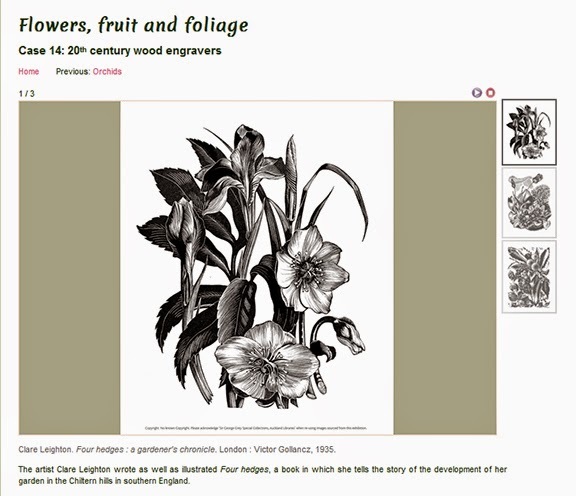 Ref: Screen shot of an item in the 'Flowers, fruit and foliage' online exhibition. 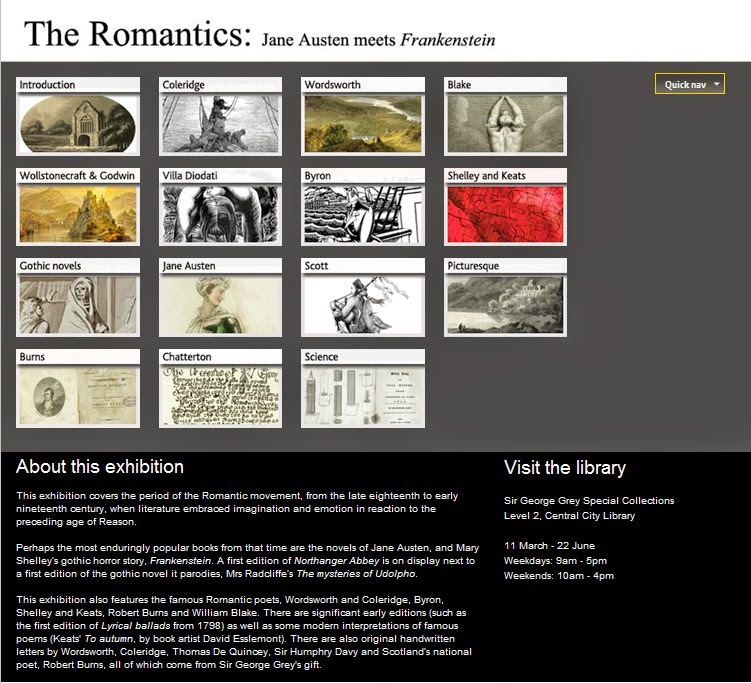 Ref: Screen shot of 'The Romantics: Jane Austen meets Frankenstein' online exhibition page.